Two installation options:A vent mounting seat and a Bracket base. Very firmly mounted on instrument panel / air conditioning outlet / Desktop . When you use it in your car vent, car vent pins size can choose wide or narrow. If inserting the wide one is not firm enough, please just switch to the narrow one. 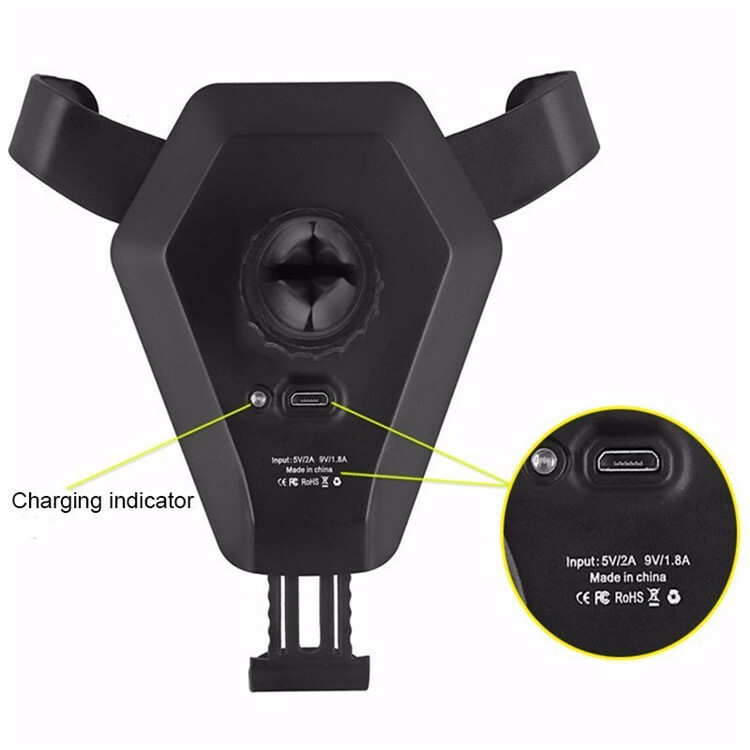 Please install at the bottom of the air outlet, where could support the wireless charger firmly. 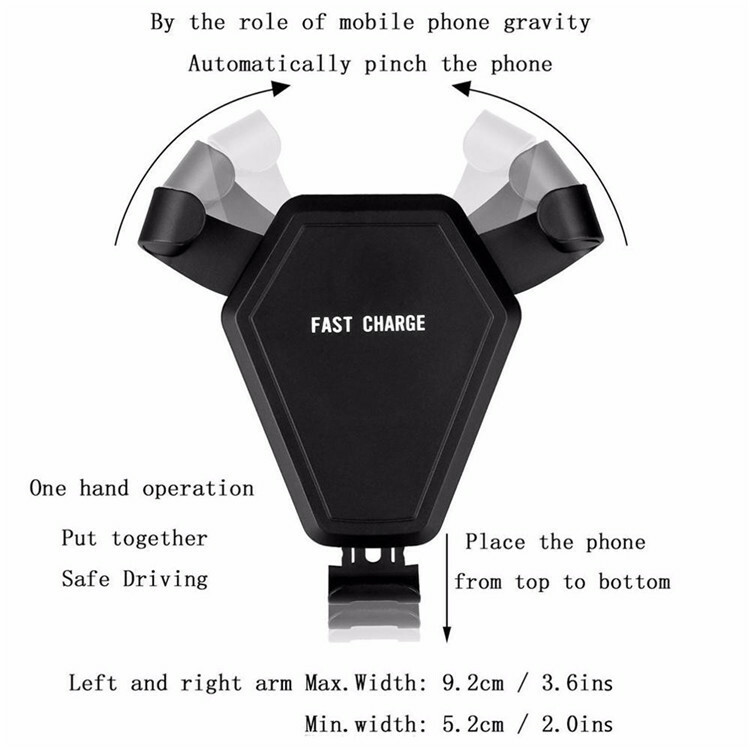 Unique structure design: The use of mobile phone gravity and linkage, it does’t need complex operation. When the cell phone is put up, The left and right sides automatically grip the handset. One hand operation, simple and convenient. 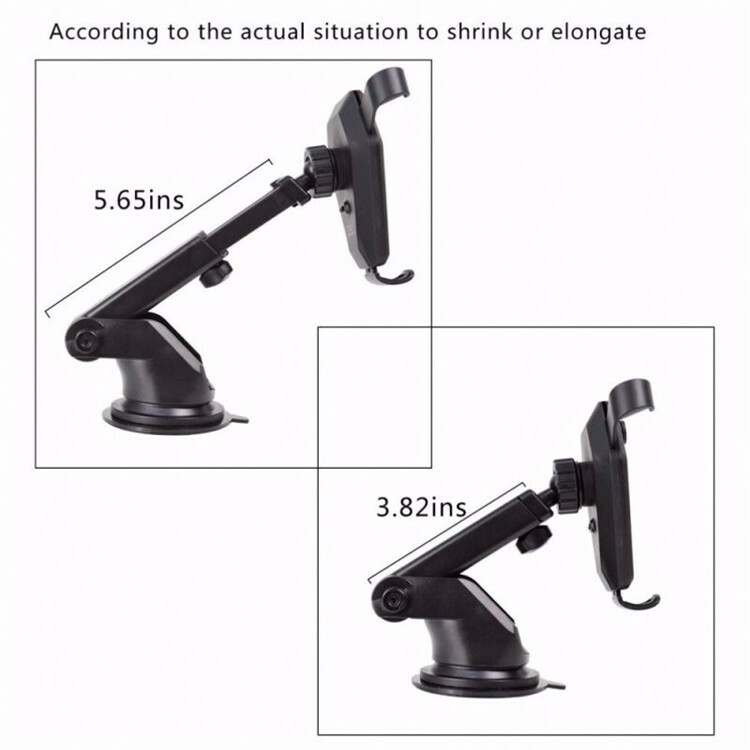 Left and right arm Max.Width: 3.6in/ 9.2cm; Min.width: 2.0in/ 5.2cm. Fast charge modes:Fast Wireless charging(1.4 times faster than standard wireless charger pad). Other devices will charge at regular speed. 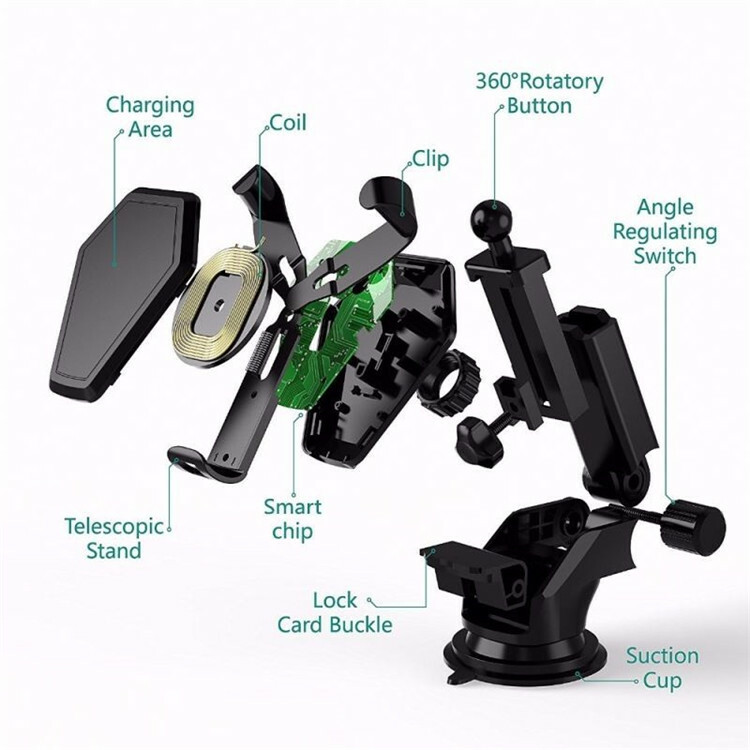 Some devices may require an additional Wireless charging receiver. Dami M7/M7 PLUS/D6 and other coming Qi enabled mobile device. 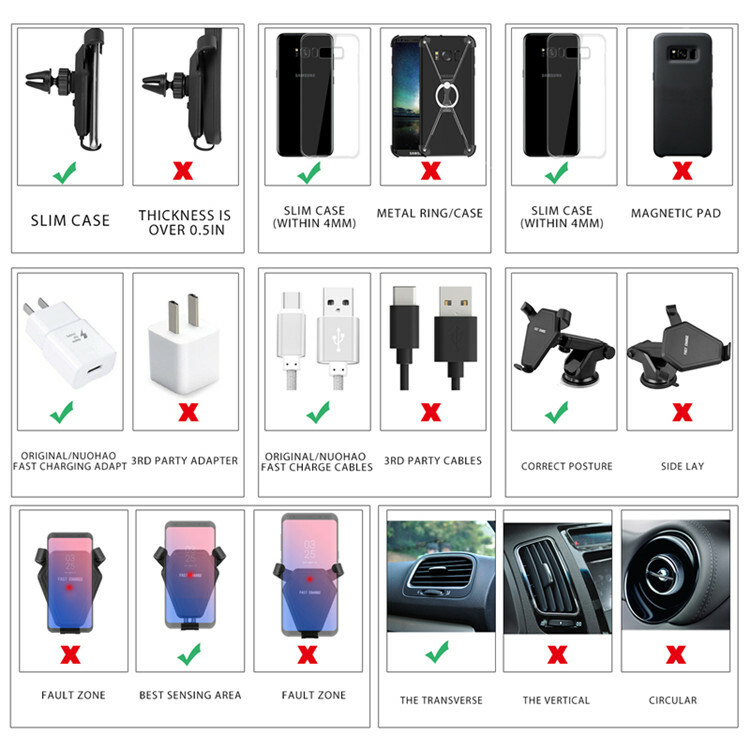 Vivo /Oppo and other universal mobile device which not have Qi wireless charging function. 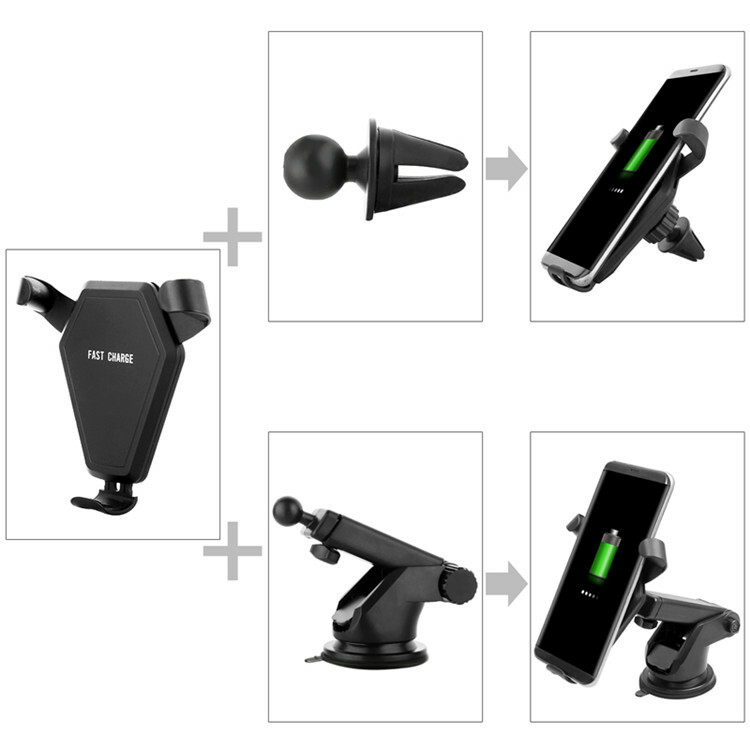 2-in-1 Function: Wireless charger combines charger and phone holder in one unit. 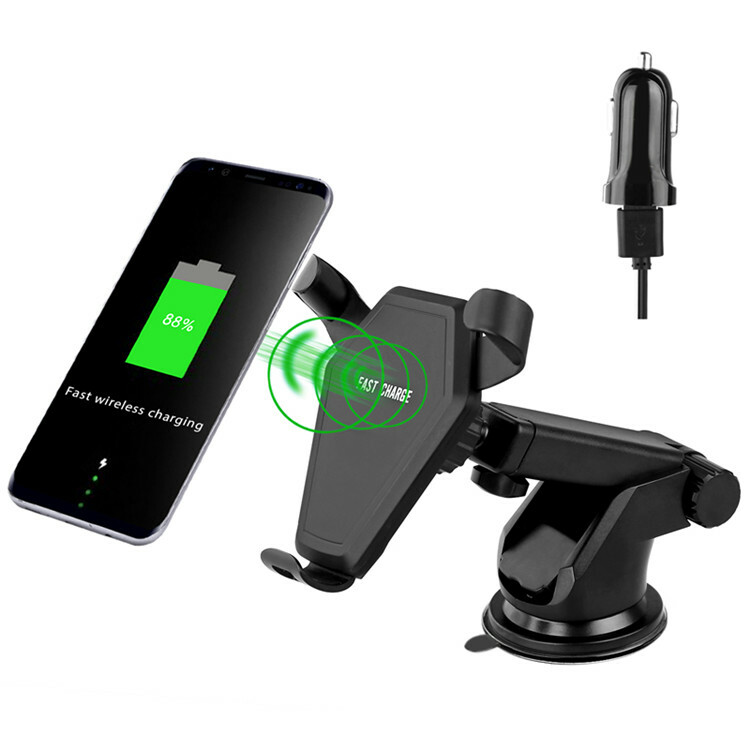 So you can put your phone in your car when you are driving. Meanwhile, you can charge it through our wireless charger. 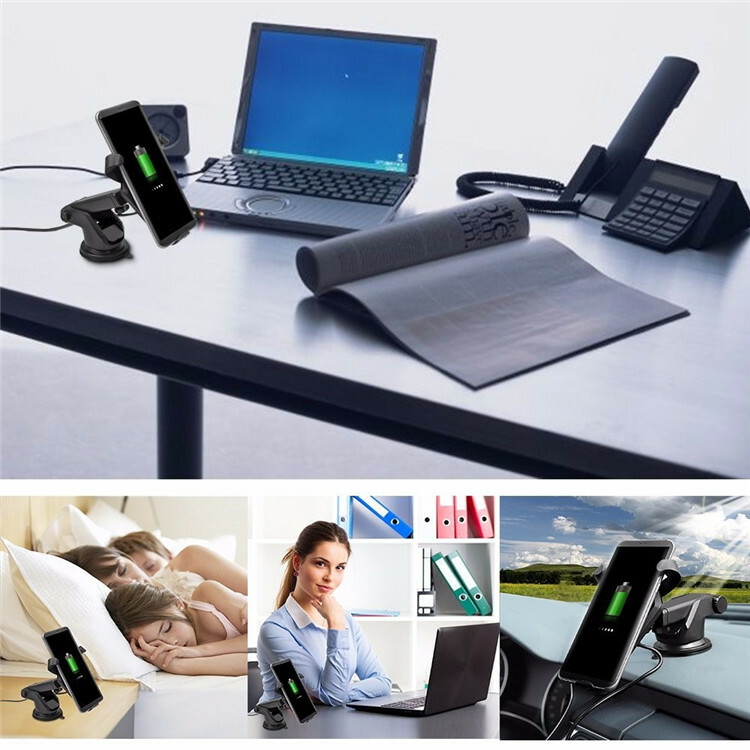 It is not only used in your car, but also can be used in your office or your room.